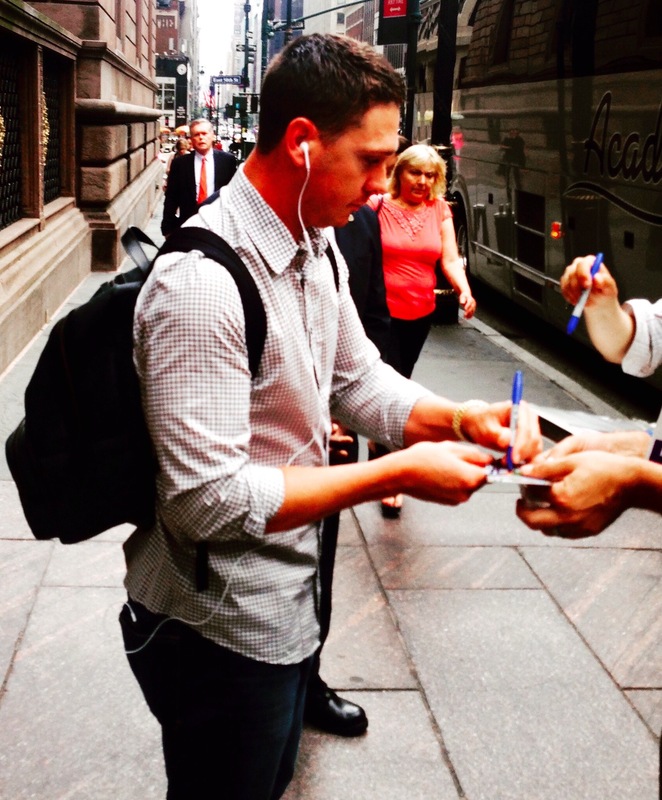 Above is an original photo of Houston Astros pitcher Scott Kazmir signing autographs in New York City. The picture, provided to iFolloSports.com by New York based contributor Christian Newlove, was gathered earlier this summer, a couple weeks prior to Kazmir's midseason trade to his hometown Astros. Entering Wednesday, the Houston native is 7-9, with a 2.45 ERA and 1.10 WHIP, splitting time between the Athletics and Astros this season. The three-time All-Star has rebounded nicely after missing nearly two full seasons (2011, 2012) with shoulder issues. For his career, the 31-year-old is 98-88, with a 3.91 ERA and 1.34 WHIP, amid stints with five MLB teams. Check out Christian Newlove's Instagram page here.